And almost everyone believes that Omar Mateen is not in a better place for this reason – that he deserves to be punished for what he did. 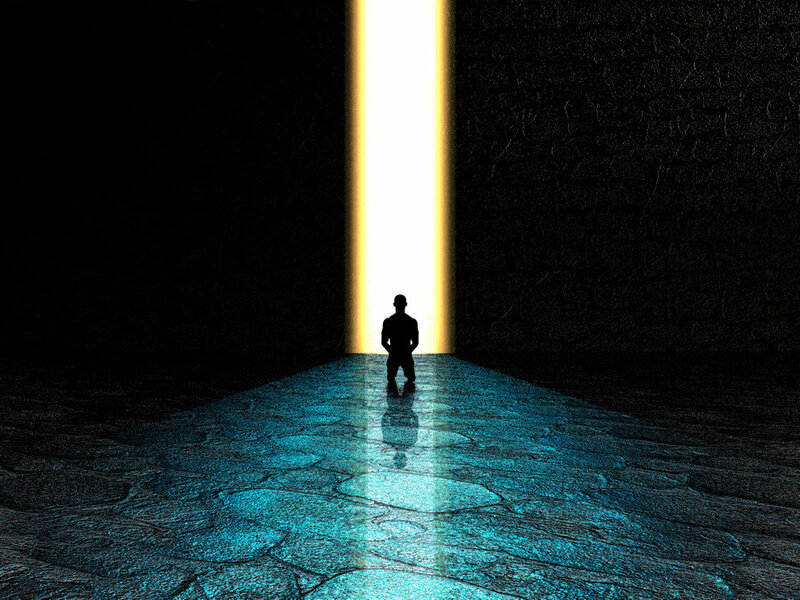 This reveals some things about us, one is that we have an innate need to see justice done, another is that we think we are are on the right side of that justice, and still another is that we think that “belief in the afterlife” is good enough to get us through the gates of the Afterlife Resort Hotel and Spa. But who are people like me? Well, good people, obviously. If you use your definition of good and worthy, eventually everyone will be excluded except you. Well, you and people exactly like you. Eternity in the echo chamber. Yippee. I have a better definition, if you will hear it. It is a definition that includes people from every tribe, tongue, and nation. It includes the poor, the oppressed, the slave, the meek, the weak, the victimized, the downtrodden. It is as diverse as this world. But it also includes the rich, the strong, the free. The conservative and the liberal. The gun folks who want no control and the ones who want confiscation. The NRA, the Trumpkins, the Obamites. NO WAY! Why on earth would you want it to include those people?!? Simple – because I want it to include me!!! I need it to include me!!! If there is no room for those people then there is no room for me either. Because I am just like them. This definition comes with consequences though – it means that you must believe that Jesus is who He says He is, does what He said He does, and everything He says is true. Everything. It also means that everything you believe about how you or anyone else gains entry into the good afterlife is DEAD WRONG unless it squares with what Jesus said. Everything. So, do you want to hear a few things He said? Oops. Jesus holds the keys you seek. He controls death. He controls the afterlife. Not you. Do you believe that? Oops…believing that there is an afterlife isn’t good enough – you must believe that Jesus is “He.” God. Do you believe that? Oops…you are not good enough – only God is good enough, and He defines good. Not you. Do you believe that? According to Jesus, the One who holds the keys, the only way to gain entry into the good afterlife, even if you believe it exists, even if you think you are a good person, is by and through Jesus. Not by and through you. Even if you are the goodest person on the planet, you will go to the bad afterlife if you don’t trust in Jesus. Your best goodness isn’t good enough. Sorry. Even if you are the most religious person on the planet, you will go to the bad afterlife if you don’t trust in Jesus. Your best religion isn’t good enough. Sorry. Regardless of who you are – rich, poor, slave, free, man, woman, Gentile, Jew, regardless of what you have done, believed, stolen, destroyed, built, however you have sinned, it doesn’t matter – you will go to the bad afterlife if you do not trust in Jesus. Then why do you think you will be in a better place when you die if you reject the very things required to gain entry into the better place? Do you think you know better than the God of the universe? Can I let you in on a secret? I did too, once. Regardless of who you are – rich, poor, slave, free, man, woman, Gentile, Jew, regardless of what you have done, believed, stolen, destroyed, built, however you have sinned, it doesn’t matter – you will go to the good afterlife if you trust in Jesus. No matter who you are, no matter what you’ve done, no matter who your parents are, no matter anything at all, if you truly trust in Jesus, if you truly believe in His power to save you for the forgiveness of your sin, you will be in a better place when you die! Guaranteed. Jesus will open the door for you and welcome you in with arms wide open.